Time is running out to enter our competition to win a pair of polarised ski goggles from PANDA Optics. Where to Ski and Snowboard has teamed up with PANDA Optics to offer one lucky reader the chance to win a pair of polarised ski goggles worth £85. 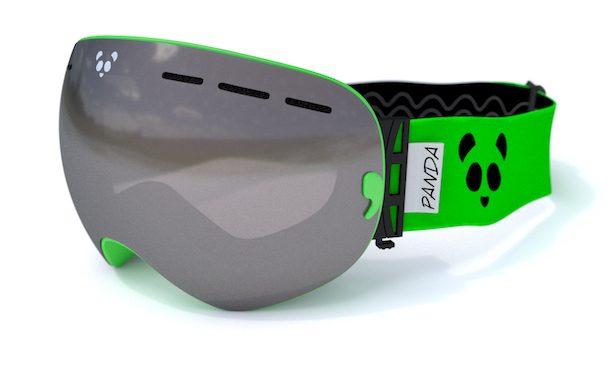 PANDA goggles come in two models — the semi-frameless Diablo (below) and frameless Funnel. Every pair comes with UV400+ anti-fog Polarised lenses and an extra low-light HD lens, providing skiers and snowboarders with the best vision in all conditions. The lenses are super easy to change, and without a frame are designed to deflect snow away from the lens and prevent build-up — especially useful when charging down a waist-deep powder field. Frameless and semi-frameless lenses also offer a wide-angle view with no constrictions. PANDA goggles are designed to be worn easily with a helmet, with flexible side clips and a “wide-rig” design on the Funnel range, and double buckle strap for easy adjustment with the Diablo. Though the Polarised lens deal with most conditions, for white-outs and completely flat light, PANDA’s low-light lens comes in a Maze yellow tint designed to offer light balance and enhance objects and terrain in poor conditions. The competition closes on Sunday 23 April, so to be in with a chance of winning enter here.